Overlooking the Chao Phraya River, the Sathorn Unique Tower is perhaps Bangkok’s most intriguing sight – for those who dare to approach it. Remnant of a financial crisis from the late 90s, the unfinished high rise has been dubbed the “Ghost Tower” of Bangkok. Is it really haunted? Rewind to the early 1990s. 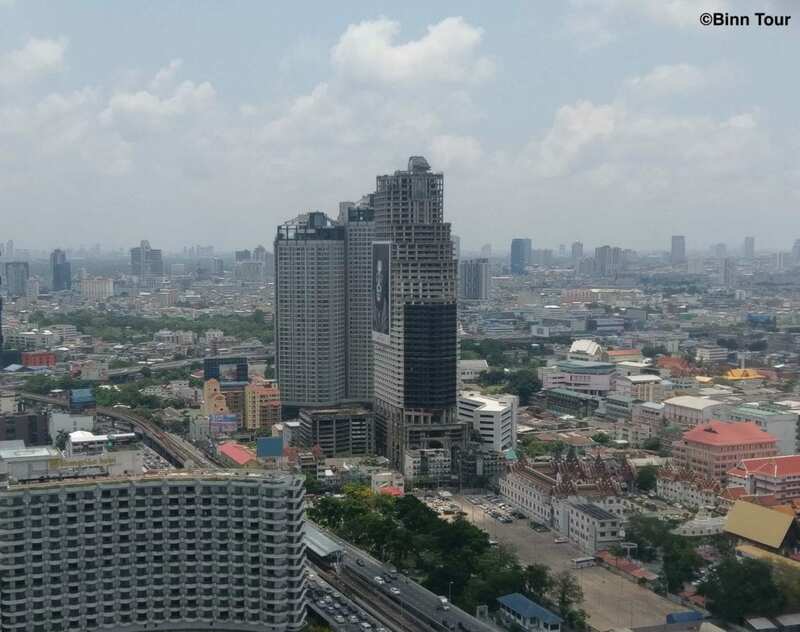 Bangkok’s real estate market is booming with a myriad of construction sites. Among them, the Sathorn Unique stands out due to its neoclassical design. The distinctive balconies are reminiscent of the nearby State Tower. In fact, both were designed by Rangsan Torsuwan. The prominent Thai architect planned the Sathorn Unique as a residential high rise for a wealthy class. The construction of the 49-storey building began in 1990. But it came to a full halt when the Asian financial crisis (aka the “Tom Yum Goong crisis”) was unleashed in 1997. In an unexpected move, the Thai government devalued the baht. This led to a region-wide crisis and the collapse of financial institutions. The highly speculative condominium market came to a burst leaving hundreds of half-built skyscrapers in Bangkok abandoned. While most of them are now complete, the uniqueness of the Sathorn Unique lies in the fact that it’s still an unfinished product. In fact, it holds the world record for the tallest unaccomplished building. The 1800 million baht project encountered funding problems even before the financial crisis. 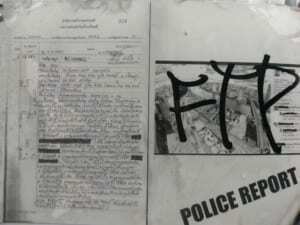 Its former owner Rangsan faced charges in 1993 for allegedly trying to murder the Thai Supreme Court’s president. Although the murder never actually took place, potential investors stayed away while the case dragged on for years. Following the acquittal of Rangsan in 2010, a series of lawsuits involving the debts of the Sathorn Unique is further impeding its completion. 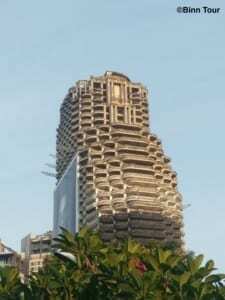 Left in a macaber state, the Sathorn Unique Tower resurfaced again in recent years. In 2014, people found the rotten body of a Swedish backpacker in a bathroom on the 43rd floor. While the news sparked discussion about the security of the building, it further added to its reputation as a haunted place. A Thai-Taiwanese couple reported another gruesome story in which the selfies they took in an empty elevator shaft revealed figures of people in the background. In an attempt to explain these phenomena and the failed completion, some people in the local community say that the Sathorn Unique stands on the former site of a graveyard which forebodes bad luck. Moreover, the high rise overshadows a neighboring temple which is yet another inauspicious sign. Despite the morbid reputation (and the fact that the Sathorn Unique is officially off-limits to the public), it has become a great attraction for urban adventurers. Two foreigners exposed themselves on YouTube freerunning on the rooftop. Capturing some spectacular views, the footage went viral and contributed to a massive number of people illegally entering the building. Apparently, it was possible to gain easy access by paying 200 baht to the security guards on site. Haunted or not, the Sathorn Ghost Tower became an unofficial site for regular boozy gatherings. 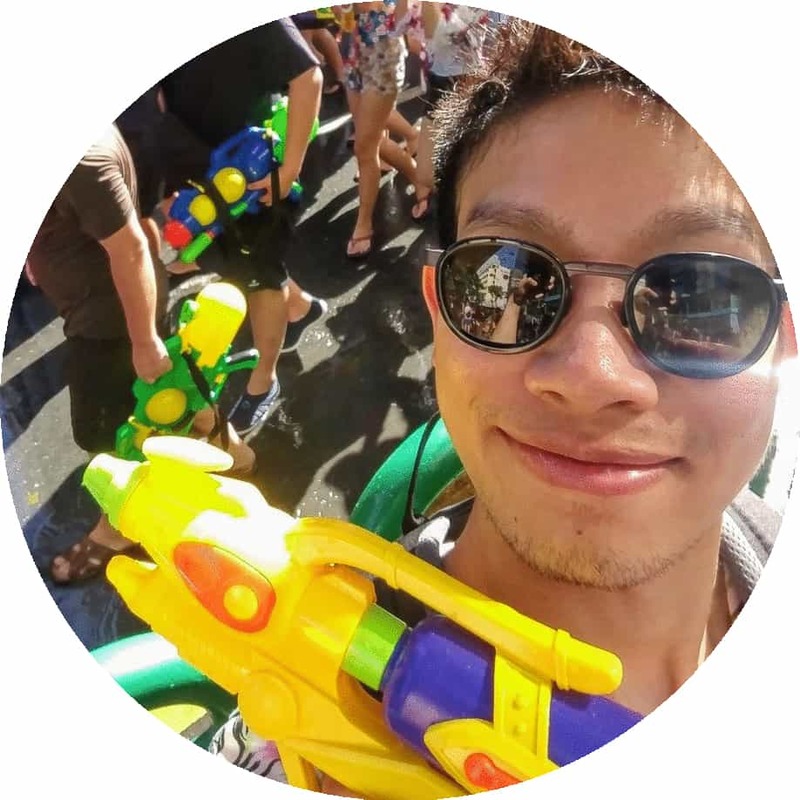 However, Rangsan’s son, Pansit Torsuan, who now owns the Sathorn Unique has taken measures to stop the influx of unauthorized visitors. He filed criminal charges in 2015 against several people including those in the highly watched YouTube video. Thrill-seekers not deterred by these warnings faced new challenges. The stairwells are now locked up and it is no longer possible to enter the building via a bridge from an adjacent parking house. Recent attempts to gain access by bribing the guards have seemingly led to disappointment. While Pansit is not against urban exploration, he is rightly concerned about the safety of those trespassing the high rise. 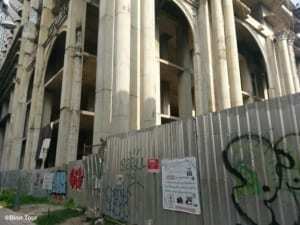 While an estimated 80-90 percent of its core is complete, most of the interior remains unfinished. Climbing the tower is therefore not without risk. In the heyday of the Sathorn Ghost Tower, some people advised against visiting at night to avoid falling into an elevator hole. Finally, the Sathorn Unique Tower featured in a Thai horror movie (The Promise) in 2017. Whether or not this will curb the suspicious behavior of strangers around the building is debatable. With no demolition in sight, the Sathorn Unique may perhaps one day find an investor and turn the page. Until then, it serves as a reminder of a financial crisis and a lesson learned. Historical symbol, “Ghost Tower” and urban attraction, the Sathorn Unique does not cease to give us the chills.